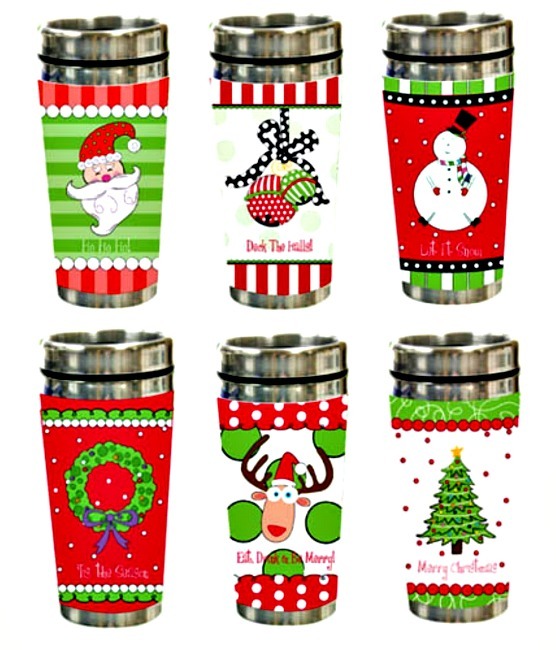 Christmas Holiday Travel Mug in 6 Different Styles. Each SOLD Separately. Perfect Gift for that Coffee Drinker on ;your Shopping List! Insulated Stainless Steel Inside keeps Drinks Cold or Hot.